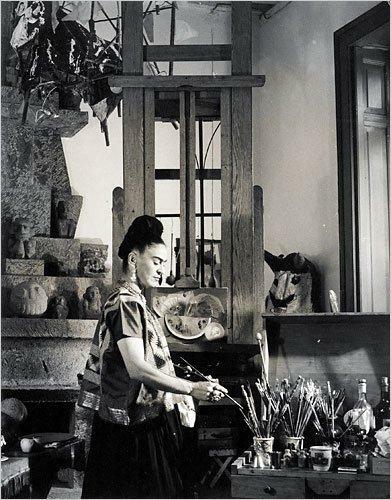 Magdalena Carmen Frieda Kahlo y Calderón was a Mexican painter, who is best known for her self-portraits, her tumultuous marriage to renowned muralist-painter Diego Rivera, but Frida is also famous for her significant style. 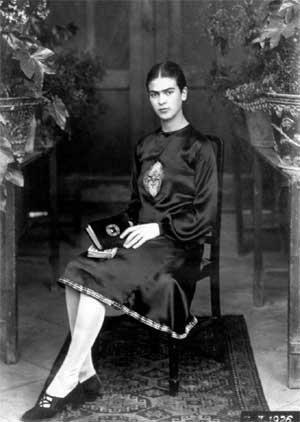 The most unique aspect of Frida’s style was the way she mixed different colors, patterns and textures. Although the eclectic patterns she wore together didn’t necessarily matched, they never clashed and created a one-of-a-kind look. She bought the fabrics and took them to Indian seamstresses. 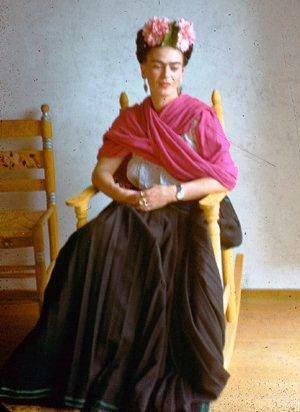 Frida also loved accessorizing to the max… She always wore lots of ornate jewelry. More is more was her style and she would wear earrings, necklaces, bangles and rings all at once. But her hair was her most colorful accessory. She braided her locks and decorated them with brightly colored flowers and ribbons. She even wove fabric into her braided updo’s. 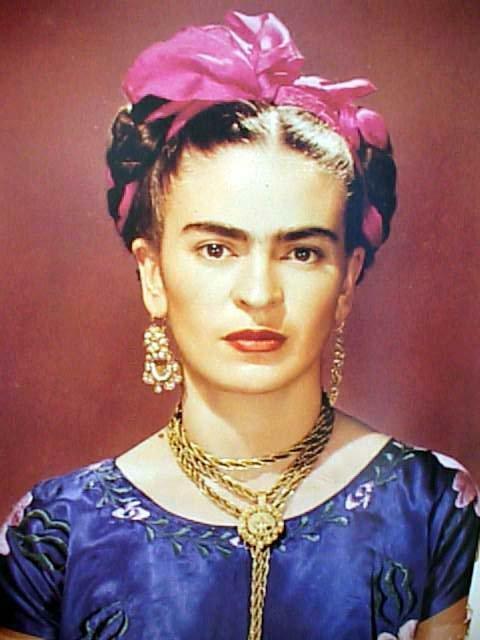 And Frida Kahlo rocked the unibrow with pride. Twice in her life she cut her hair short and started wearing man’s clothes. The first time when she was still a young woman trying to discover her identity. 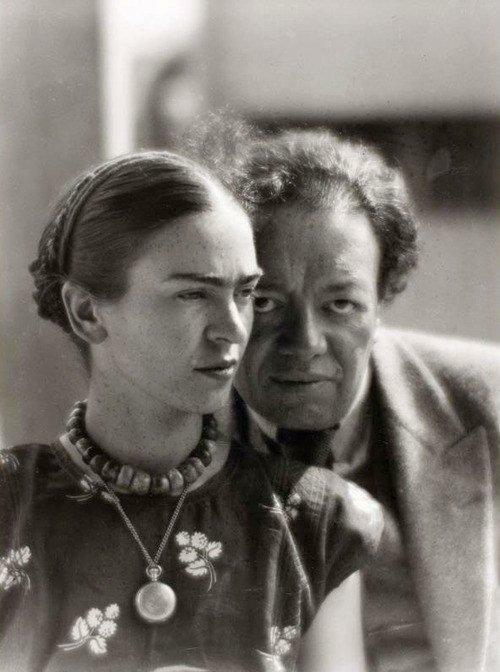 The second time was when she divorced Diego in 1940. Frida cut her hair, threw off her Tehuana costume and reclaimed her bold 21 year-old self. 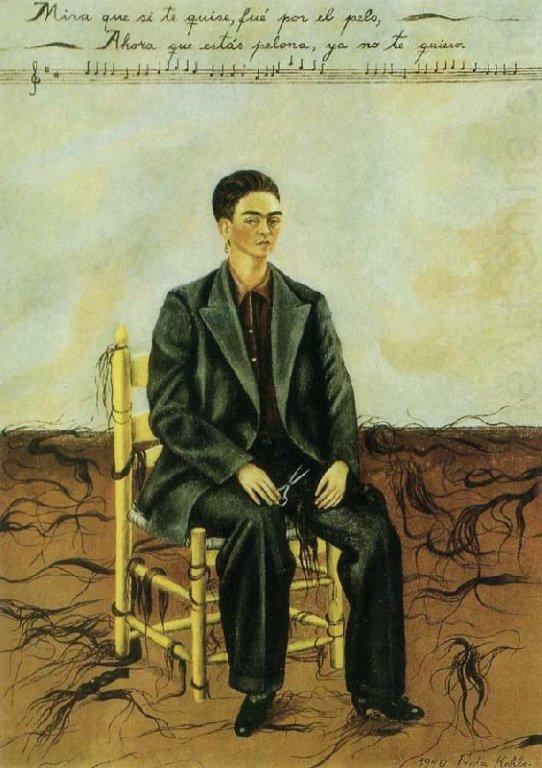 In Self Portrait with Cropped Hair (1940) Frida adopts a man’s suit and short hair, holding the scissors in her hand, her hair litters the floor and her eyes challenge the viewer. .
Frida was born on July 6, 1907 in Coyoacán, Mexico. When she was six, Frida contracted polio, which stunted the growth of her right leg. Despite this disability, Frida was quite the athlete growing up and participated in many sports, including boxing. 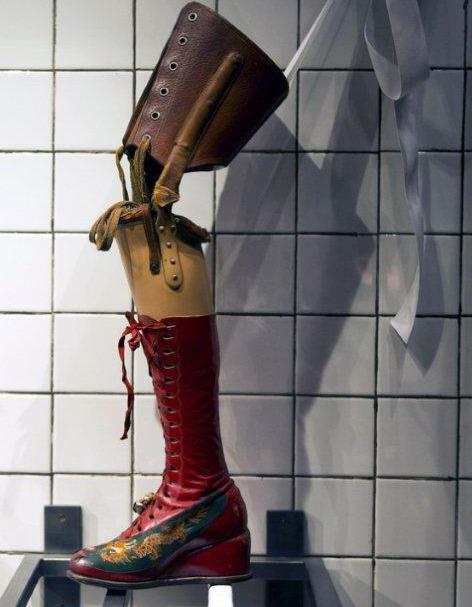 In 1925, Frida was involved in a terrible auto accident and had to spend over three months recovering in a full-body cast. Although she recovered from the injuries, she spent the rest of her life having painful relapses, which oftentimes left her bedridden. 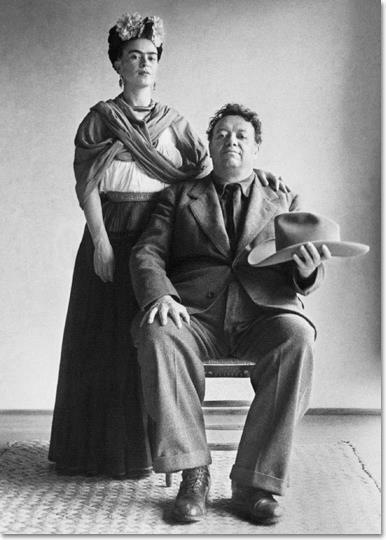 After the accident, Frida began to paint and sought out artistic advice from Diego Rivera, whom she later married. 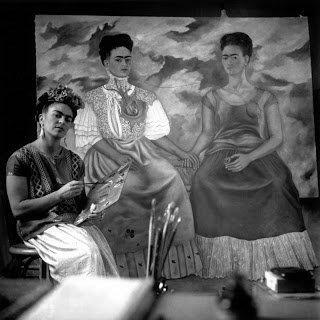 However, Frida was a self-taught artist who was well known for her self portraits and still life paintings. 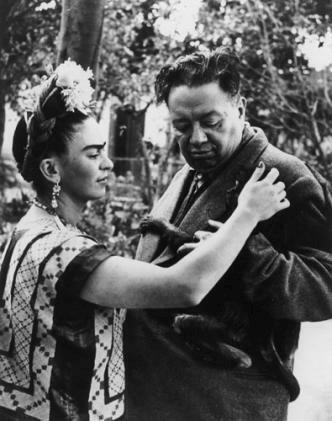 Frida was an animal lover and owned dogs, cats, monkeys and birds. Her beloved pets were often painted alongside her in her self portraits. 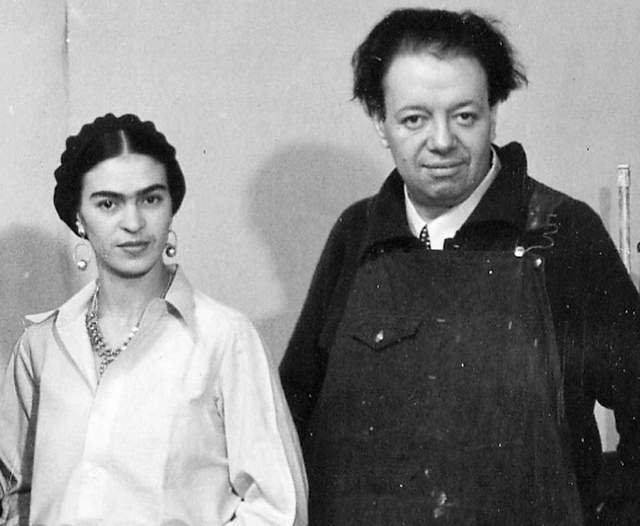 Frida passed away in 1954, but her paintings did not become well-known until the early 1980s. Today, her work is recognized worldwide and her life has been portrayed in numerous books and films. 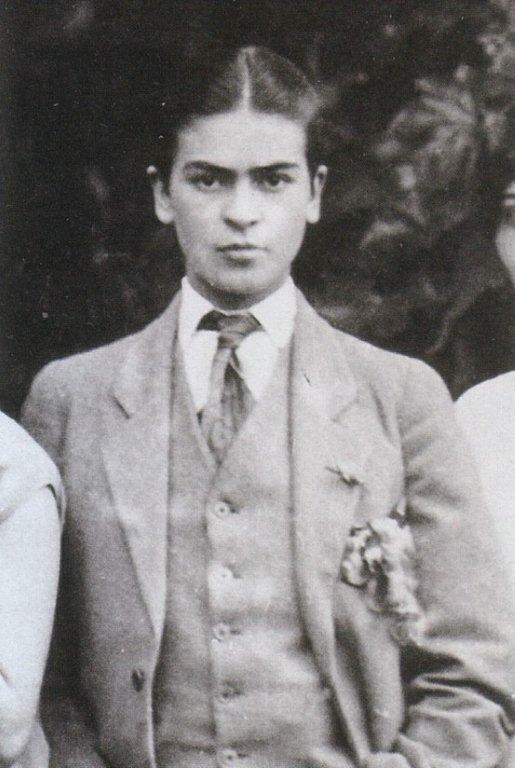 Frida loved to dress up for Diego, who adored her feminine and colorful taste in clothes and jewellery. ‘She had a tremendous self-confidence. She was convinced that what she wore displayed who she was inside,’ said Alejandra Lopez, art restorer for the painter’s home. 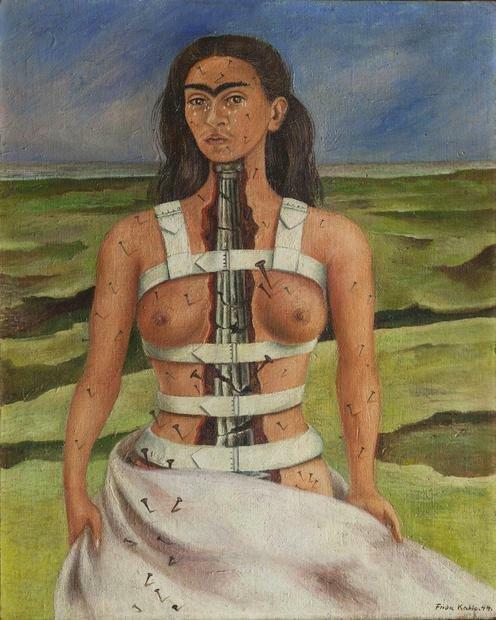 Frida used her clothes to disguise a life of pain, both physical and emotional. 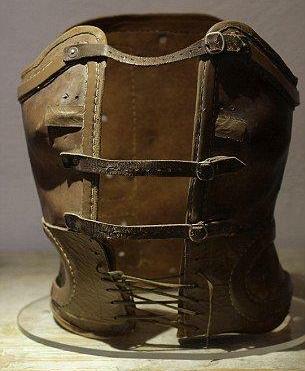 Her long, full skirts hid a tiny, thin right leg, and loose blouses covered the stiff corsets she wore for back pain. 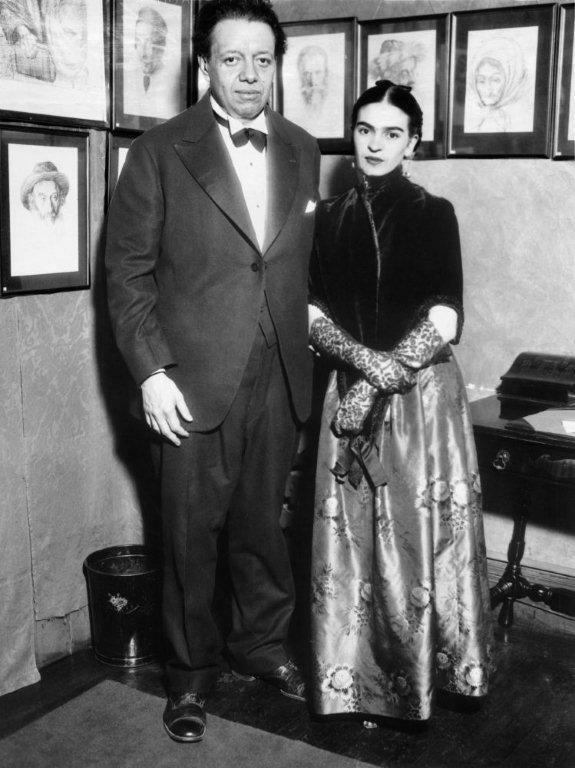 Andre Breton recognized that Frida Kahlo’s work was Surrealist in 1938. ‘The promises of fantasy are filled with greater splendor by reality itself!’ he exclaimed about her work. Breton organized an exhibition in Paris to include seventeen of her paintings in 1938. 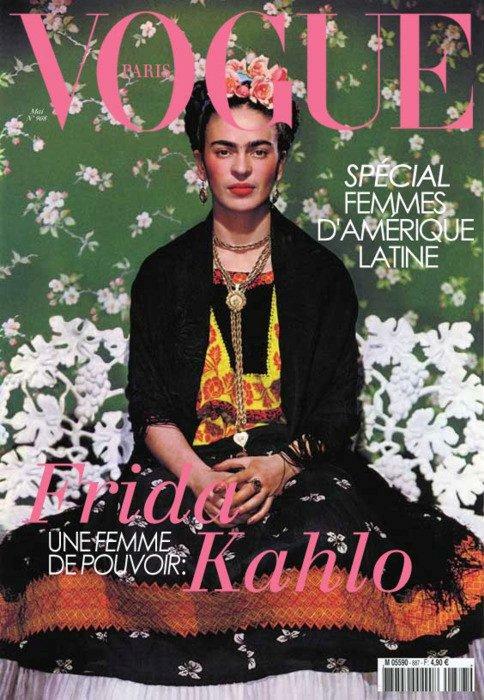 Traveling to Paris, Frida met Picasso, Duchamp, Kandinsky, and others, dazzling Parisians with her style and originality, her portrait appeared on the cover of French Vogue. She returned to Mexico feeling more sure of herself as an artist than ever before. Her pictures were selling and had earned the praise of many severe critics. 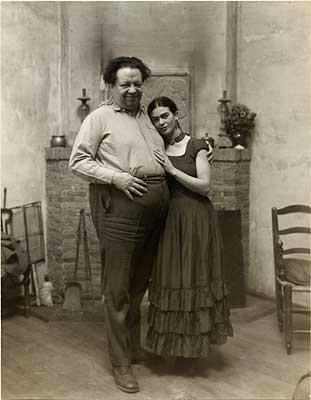 Frida was not disturbed by critical comments from those horrified by her shocking themes. 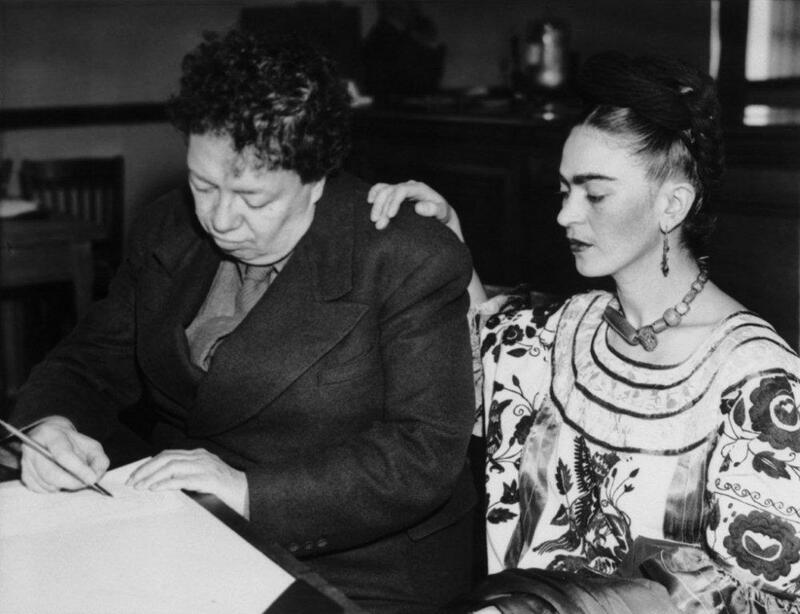 Frida felt uplifted by her popularity in Paris among famous artists, political figures, and writers. Her earrings were elaborate drops or dangles in the traditional Mexican style, and her necklaces often featured roughly-hewn, handmade stone beads and pendants. 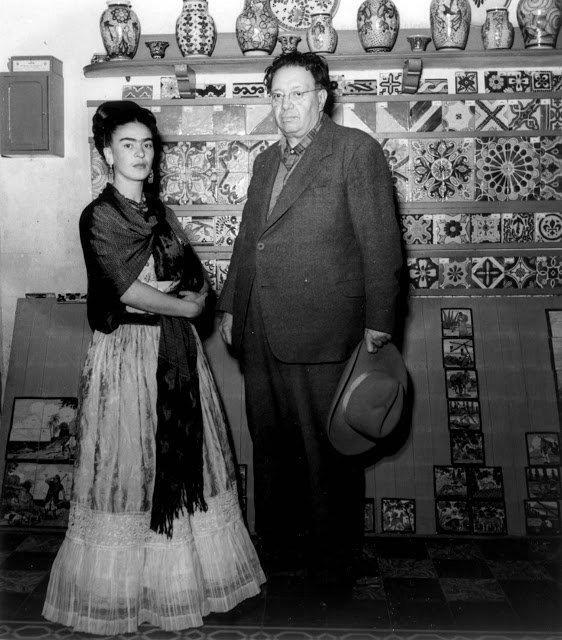 These styles were popular in early Central America; they were not “trendy” or in fashion at the time of Frida’s life. 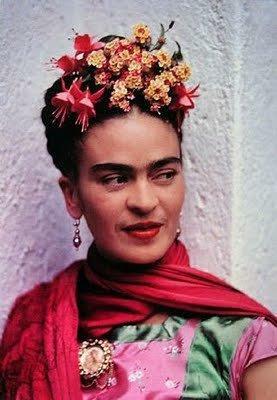 For Frida, they represented cultural tradition, and she wore them largely as a political statement. 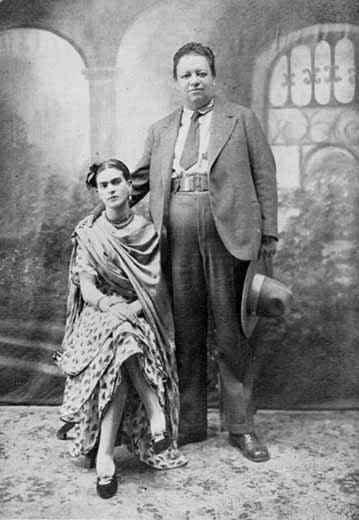 In fact, it’s been said that Frida sometimes was the brunt of jokes when she walked in public in her showy, traditional Mexican outfits and gaudy pre-Columbian jewelry. 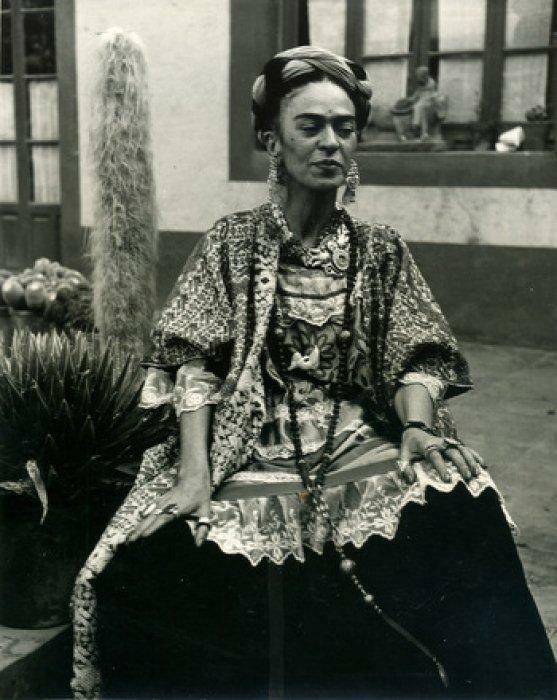 But this look, which included over-the-top traditional Mexican hair styles, was deliberately crafted by Frida as a backlash against new trends and a message of cultural preservation. 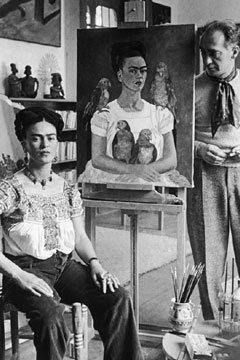 Next week ‘Frida Kahlo, an icon in many ways’ (part 2): an exhibition, a movie and how her look still inspires fashion photographers and designer. ← Who doesn’t want to look like David Bowie? 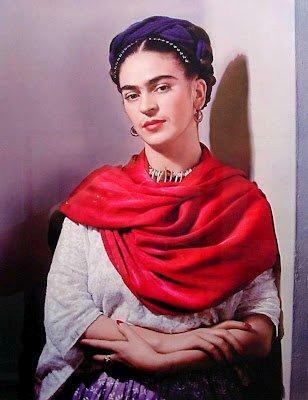 I just love Frida Kahlo for her work and personality. Thanks for this extraordinary post. 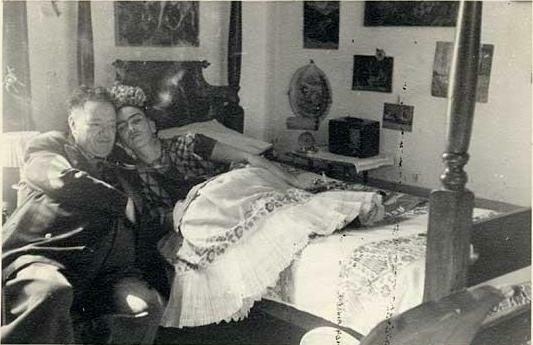 “Frida Kahlo’s hands and Bonito”. It was taken by; Gisele Freund in 1951. Any information would be appreciated.